Dogs are adorable animals in my opinion. But I couldn’t have one, since I don’t want to leave it lonely at home while I go to work. Besides, my mom would never have any other dog ever since her favorite dog died decades ago. We used to have dogs before, but they don’t last long. So, whenever I see one, I just look at it with fascination…and even make friends with them. I can quickly make friends with dogs except for this one. And I don’t find that adorable. When we came to visit relatives at the far end of the metro, a small pack of dogs greeted us with incessant barking. All of them stayed outside of the house, except for this one who always follow her masters. Her name was Benjie. Benjie looked like a brown, jumbo hotdog with a small head sticking out of it. Whenever she lies down, her body spreads on the floor like a sagging pillow. She was fat, they said, because she sleeps on her favorite spot right after she eats. 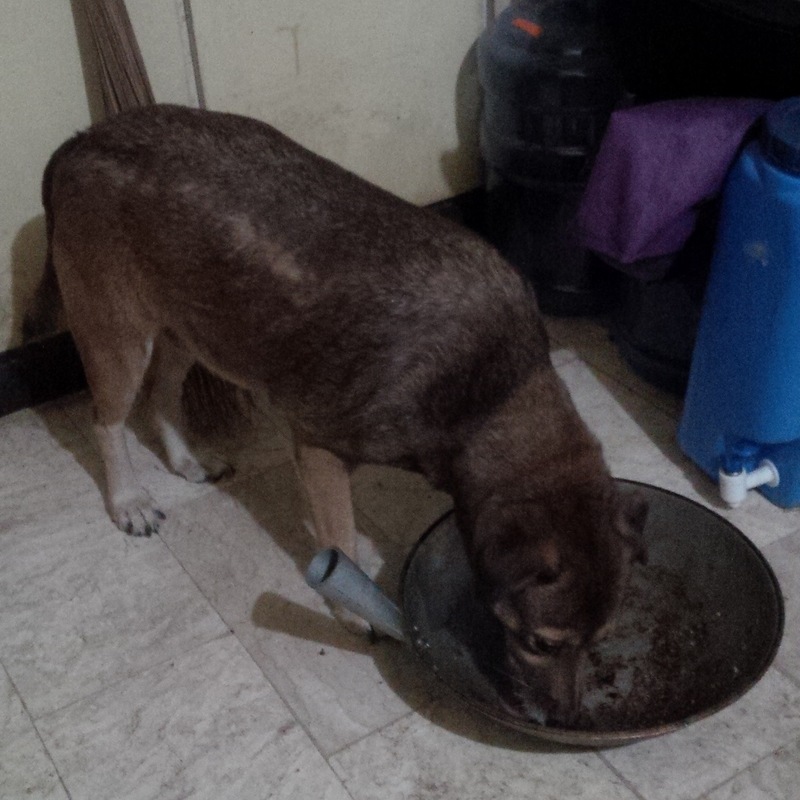 Like a spoiled brat, she dashes to her own sofa in the cluttered living room after finishing a plateful of left-overs. But during the times we stayed with them, Benjie starred at me. Her big dark eyes, seemingly painted with yellow spectacles around them, couldn’t get off my direction. And when I try to touch her, she dashes away. Even when I walk towards her, she whisks away from me. For the first time, I have seen a canine that was shy — really, really shy. I don’t understand why it was so scared at visitors. No matter how I tried to give it food, she ignored it. She only let me pat her head once — and never again. Our relatives said that she had been traumatized by the loud, booming blow of fireworks every New Year. My mom said that the dog was obese enough to have a weak heart. Whatever the reason is, I tried to ignore the dog. If she doesn’t like me, then I don’t like her, too. Still, she served her masters well. She was as good as a cat when catching and killing mice. Yes, she’s a dog that kills mice. Her masters said she just licks them and plays the little vermin in her mouth, like rolling a candy on her tongue. Soon, the mouse would be lying dead at the dog’s feet. 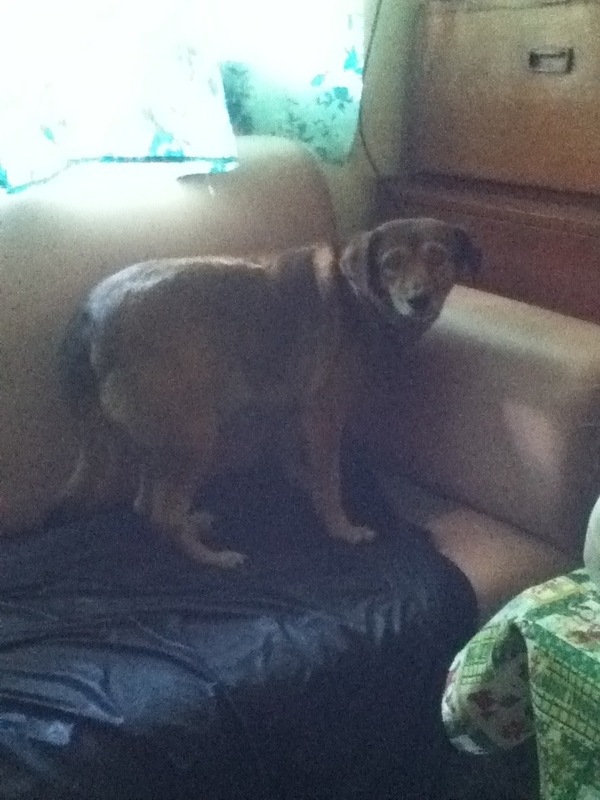 I guess Benjie was so used to the people in the house, she was not used to having visitors. She loved her masters very much, Benjie just enter into my cousins’ rooms and lie beside their bed. Whatever the dog’s reason was, I don’t find her cute. Maybe because I did not get the attention I wanted from a dog, inasmuch as I want the attention of a friend. Maybe, not getting her friendship was good in the end, because I would not have the trouble of detaching from a dog after a few days of staying with them. Sometimes, it’s so frustrating not to be a Billy Graham or a even just a plain superhero. For most times, I tend to be idealistic, dreaming that I can speak in front of millions and save them all (well, not really me, but the Lord through me). I imagine how it might be fulfilling when one reaches lots of souls at the same time. But for most times, the Lord works in ways that we earthly people don’t expect. I’m no pastor, neither am I called to be one. And yet, there are a few souls that I always reach out in one time or another. And so my Mom tagged him as “Rhema’s Timothy”. For most times, he’d share to me his problems, his frustrations and what the Lord does in his life. In turn, I encourage and pray for him. Most Sundays, the pattern is always the same…but every time we end in prayer, I felt fulfilled. For one more time, the Lord touched another soul through this frail little vessel. Who knows what this little friend will be in the coming days. I suddenly see myself that though I’m praying or talking to one soul, I am still part of God’s vast, eternal picture. I don’t know what this fellowship will make out of my friend, but I believe that this short fellowship and prayer will turn him into something that many will never expect. God has a great destiny for him and yet he needs fellow puzzle pieces to help him get into his rightful place in God’s picture. With this, I am more encouraged to look for people and pray for them (yet, sensitive for such souls who need prayer and encouragement). It’s not only my friend who’s encouraged. Unconsciously, he helps me break out of this shell of doubt and frustration. When I see him encouraged, I am also encouraged. I don’t feel proud. I’m happy to see him encouraged through God’s peace that works from within me. Who am I to be a vessel of the Spirit of a great and powerful God? Yet, I’m thankful, for we are both part of a greater picture that we will see in the coming days. I don’t know how these small instances will change and mold both of us. But I believe it’s an overwhelming way on how God shows His extraordinary love to frail little souls like us. We are made for one another. These fellowships are made for such a season as this, I believe. And I can’t wait to touch another life in the coming seasons to whom the Lord will show His love and glory. Small instances? The size does not matter. It may not be as big as any evangelistic crusade, but I will cherish these fellowships and these friendships for the Lord cherishes and loves these people, too. It has been almost three years. But I did not know him until now. Habakkuk has been a faithful friend to me. Actually, he has been my baby by the time I bought him. My first guitar, I bought him days before I resigned from my first job. All I wanted was to learn how to play a guitar, know a few worship songs that I can sing during my quiet times, and know how to play at least one instrument in my entire life (for I was not too successful in the violin and in the keyboards). Just recently, one of his strings broke. Playing with one string missing sounds odd, especially now that I have been asked to play at two Christmas parties at Malacaňang. This time, I realized that I should pursue this hidden passion in music (and once-denied talent), not to impress anyone but to take care of this skill given to me. Three years later, I’m still a beginner. But this time, I’m determined to learn and know a few tips. I kept on asking questions from a friend whose father is a guitar virtuoso (and hope to meet and learn from him myself). I kept on watching tutorial videos this past week to learn and try to adopt new playing styles. I’ll never be perfect though, but it’s good to accelerate from where I am now. I was determined to buy new strings and a capo, as well. Imagine, three years and it is only now when I realize I have to change a lot from Habakkuk. And it’s only now I realized how my baby needs some make-over and a clean-up. Yes, you read it right — a clean-up. Poor baby…I’m so sorry. While changing his strings and wiping dust off the fingerboard, I realized how I neglected him even though I’ve been bringing him out most of the time. I saw his bruises and his tarnishes, and I felt foolish how I called him “my baby” without really caring much about him. It took me so much time to realize how to remove the old strings from these pegs (which took me hours to discover how to remove them and bring them back) and wasted so much time from removing the tiny balls from the old strings (because I thought that they should be used by the new ones :-O ). Ah yes, today was a major trial and error moment. Though I lost much time, I felt fulfilled when the new strings were in place. This is another lesson of good stewardship. We don’t buy things to fill up our houses. We buy them because they are made with a purpose in our lives. When I was looking for another guitar last Friday, my friend told me that I should not only check everything from it but feel from it. It’s a weird concept, as she added that things also “feel” their masters. It’s like looking for a life-partner — one has to make sure that that guitar is “meant for you”. I guess she’s right. There are things that are “meant for us”. I’ve heard of friends who prayed for the things they’re buying. I thought it was totally awkward, but when they gain wisdom from the Lord to buy it or not, they find a blessing of not wasting their money over the “second best” of their choices. Even in gaining things, one should never be impulsive…being a spoiled brat over materialism can never give us any gain; only added trash in our houses and our lives. And as Habakkuk rests on my bed with the new strings in place, I wonder if he was complained at all. I felt that we are both rugged kids trying to stick together for a reason. He loved me anyway, for he did not break away from despair of not being cleaned at all. Besides, we have tagged along each other during intercession nights. He sang along with me most of the time. We had some little adventures at times. I wonder if he has been tired when tucked away in the dark for days…or even weeks. I know, it’s weird. It’s like how my friend can love her pet dog, or how a guy can love his car by investing so much from it. Loving something can cause one to invest time and money to bring out the best from it. Now, little by little, I realized how I need to invest new things not only for my dear Habakkuk but also for this gift and skill in music. By this way, I do not waste what was lent to me and I will sow to make it grow, making sure that it will not be a waste.